In honor of mother's day here is a recipe/tutorial to treat your feet, take a few moments to pamper yourself and relax; or to make a gift for a mom that you think could use a few minutes of getting off her tired doggies. This works fabulously for those that aren't a mother too! 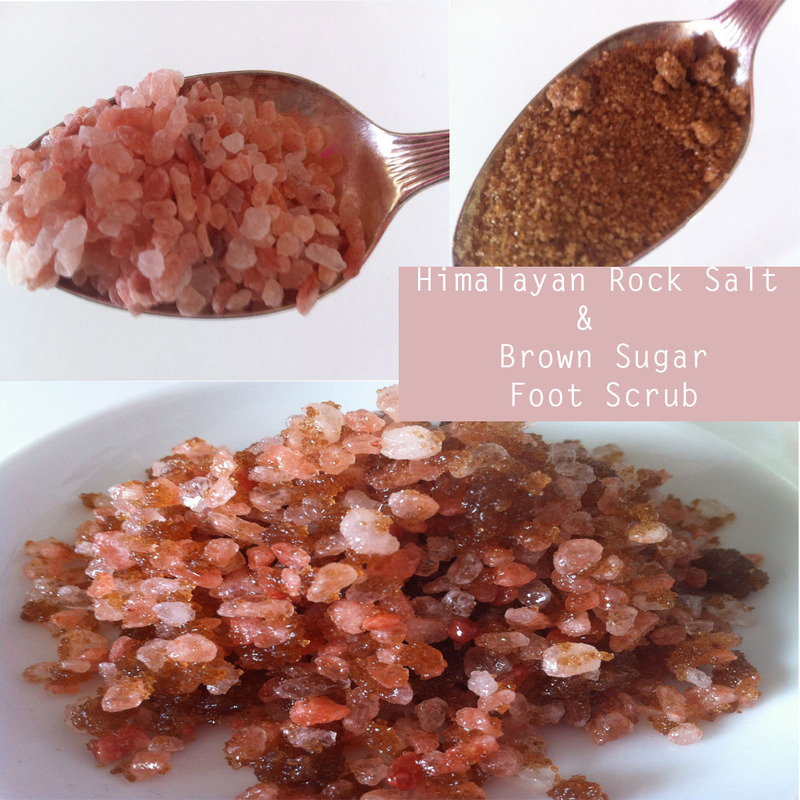 This is a really simple recipe for a fabulous foot scrub. The ingredients are probably those which you can locate somewhere between your kitchen and your bathroom. They are easily changed out for other similar items if you don't have the exact ingredients on the list (I will give an alternative or two for each). Lavender or Peppermint oil for aromatherapy properties (peppermint oil is a tried and true oil used on the feet to help circulation and also helps fight any fungal or bacterial infections. Lavender can help sooth tired and overworked muscles). All you need to do is take a few table spoons of each. I generally don't make a huge batch, simply because it is so easy to make it as you need or want to. I usually just make enough for a couple uses. But you can make as little or as much as you want. I then add a couple tablespoons of coconut oil and about 2 drops of the lavender or peppermint oil. Mix it all up and let sit for about 1 hour to overnight. After you soak your feet (see below) gently massage the mixture on your footsies. You can also massage it on your legs (which I find I can't help doing once I get started), or even take in the shower to use on a more regular basis. If you are giving this as a gift or want to store left overs, I use an old glass jar with a lid saved from the recycling bin. But before I start with the foot scrub I like to soak my feet in hot water with about a quater cup of olive oil and lavender buds for about 10 minutes to soften the skin. Now, go take a load off and Enjoy! oh man! 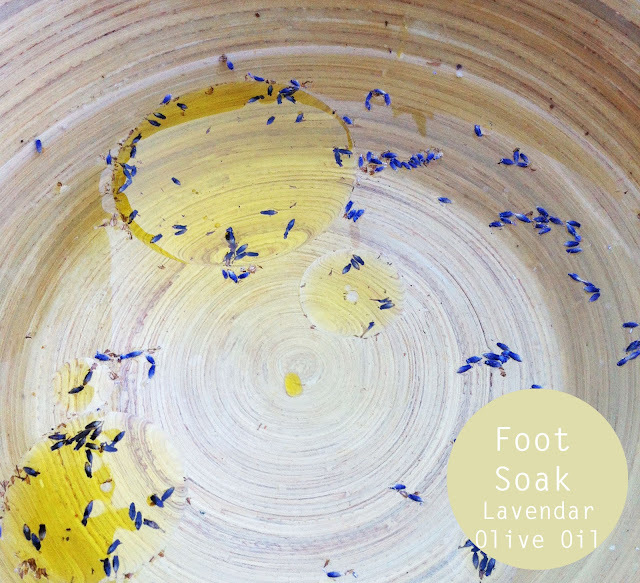 I do love a good foot scrub and I love finding recipes for home remedies. Thanks for sharing. What a fun idea! Lovely! Thanks for the suggestion; I will have to try it this summer. This sounds wonderful! What Mama doesn't need a foot rub?!! Thank you so much for the tutorial! The right shoe insert can relieve the pressure on the neuroma alleviating the pain. The neuroma is still present, however, the impingement of the nerve is reduced.